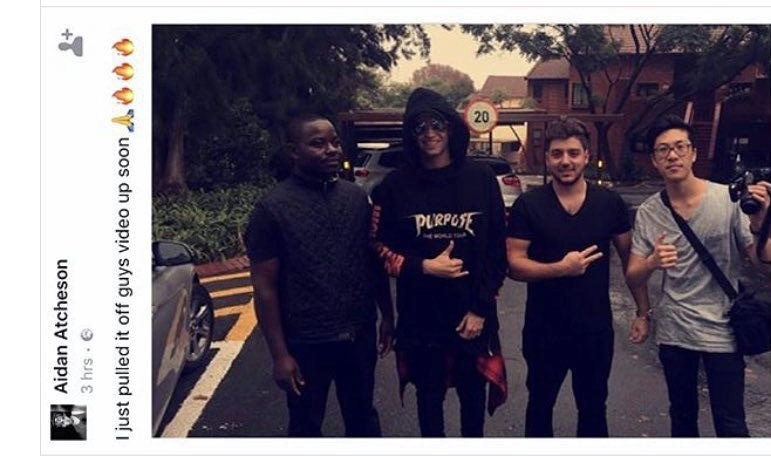 "Justin Bieber" was spotted at Sandton City Mall on Sunday. Can you imagine doing your weekend mall shopping and seeing Justin Bieber just walking past? Well, that's exactly what happened in Sandton at Sandton City mall yesterday when 'Justin Bieber' was spotted. 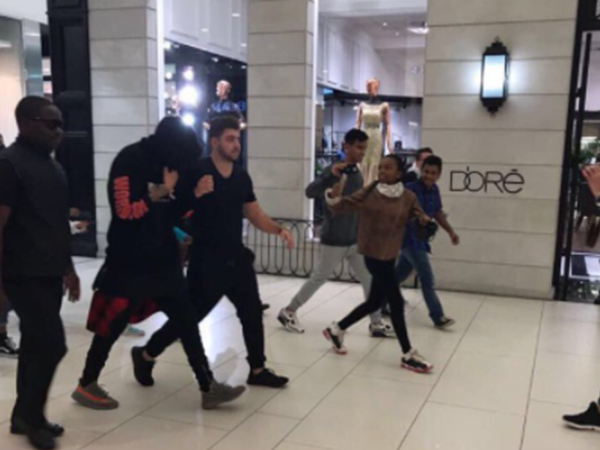 Mall goers went crazy and started running after Justin who was dressed in a red and black hoodie covering his face with a few bodyguards. Many followed him hoping to take a picture of the star but he fled away quickly. So while most people were still holding their breaths that they had seen Justin Bieber, they found out that the real Justin Bieber was nowhere near Sandton at the time of the mayhem. So the screams were directed towards a fake Justin Bieber, who had planned the whole thing and got away with it. The guy behind the joke was Aidan Atcheson who later posted a picture of himself saying how he had pulled off the stunt and made everyone believe he was the real Justin. We are glad they didn't get to see Aidan face and realize it wasn't Justin Bieber because Beliebers wouldn't have reacted nicely. Here's a look at Aidan as Justin Bieber.